In order to configure Windows and Linux EC2 instances to send custom CloudWatch metrics by using SSM, we need to use the new Unified CloudWatch Agent. There is an old version of SSM Agent or EC2Config, but this was available only on Windows Instances. The new CloudWatch Agent, integrated with AWS Systems Manager (SSM) for simplified deployment and management, unifies collecting multi-platform metrics and logs into one agent and enhances the observability of your EC2 instances and virtual machines by collecting in-guest system metrics. Simplified agent — only a single agent is used to collect metrics and logs, simplifying installation and collection. Cross-platform — we may install the agent on either 64-bit Linux or Windows. It also includes HTTP proxy server support. Configurable — agent automatically tracks useful system metrics, but may be modified to collect others such as CPU threads, mounted filesystems, and network interfaces. CloudWatch — supports the normal 1-minute metrics and the new 1-second high-resolution metrics option. Includes EC2 dimensions like Instance ID, Image ID, and Autoscaling Group Name, as well as custom dimensions. Migration — We may migrate existing AWS SSM and EC2Config settings for the new agent. Before we start with installation of Unified CloudWatch Agent, first we need to create a role and assign couple of policies. If you already have SSM Agent installed on your Windows instances, you can push installation of the new Agent quite easily. On an Amazon EC2 instance, the CloudWatch agent requires that the instance is running version 2.2.93.0 or later. 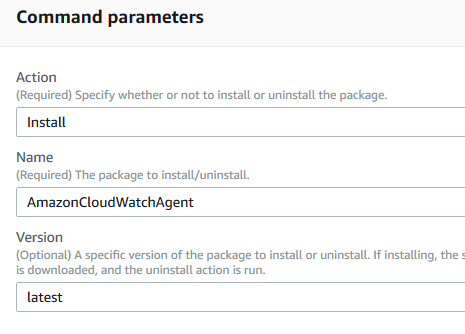 Before you install the CloudWatch agent, update or install the SSM Agent on the instance if you haven’t already done so, as you cannot push the installation of CloudWatch Agent if you can’t see your instance under Managed Instances. NOTE: The instance will not be rebooted!!! Now when we have installed the CloudWatch Agent, we can configure the CloudWatch Agent with the configuration we have defined. The configuration file is a JSON file, which we will store in the Parameter Store section. This JSON file you can take from any of your server, where you have set manually your metrics, and those which you would like to propagate to all other instances. The Parameter has been created. 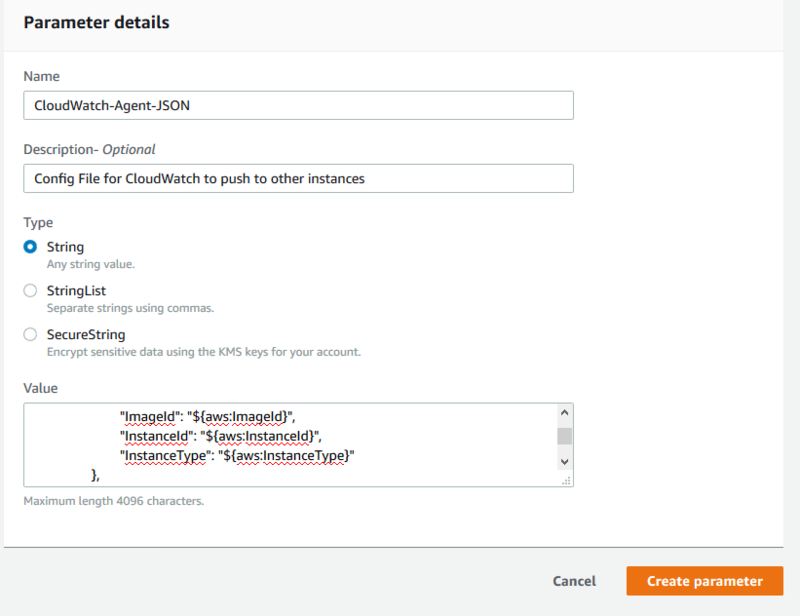 Now, we are ready to configure our Unified CloudWatch Agent. Under Command Parameters section, leave everything as Default except for the ‘Optional Configuration Location’, where you paste the name of the Parameter, which you created and stored in Parameter Store. NOTE: Make sure you write down exact name of the Parameter, otherwise it won’t work. 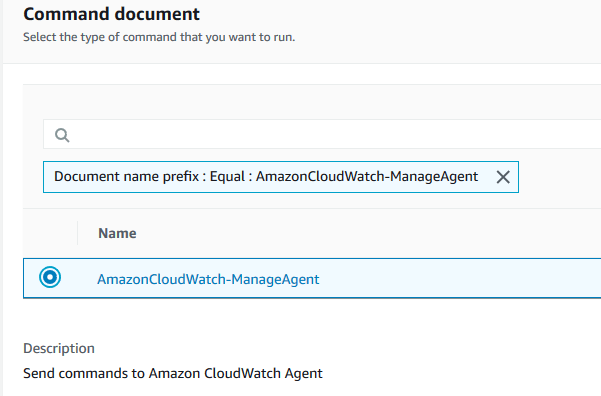 NOTE: The configuration of the CloudWatch Agent doesn’t require the restart of the instance, only of an installed agent. The same process could be done for Linux instances as well. If you want to return to using SSM Agent for log collection, follow these steps. On the instance where you want to return to collecting logs with the SSM Agent, locate the contents of the SSM Agent config file. Copy this data into a text file for use in a later step. In the navigation pane, choose Run Command, and then choose Run command. In the Command document list, choose AWS-ConfigureAWSPackage. In the Targets section, choose an option and select the instances to update. In the Action list, choose Uninstall. In the Status list, choose Enabled. In the Properties box, paste the contents of the old config data you saved to the text file.